This beautiful G50 coupe is an all around great car! The red paint shines and glistens and the overall condition of the exterior is superb. The Black Leather interior is in nice shape as well and the car still sports its original Blaupunkt radio. New clutch and clutch slave cylinder. New front AC condenser fan and motor replaced. Motronic box rebuilt by Steve Wong and SW chip. Valve adjustment and new upper and lower gaskets installed. Ignition overhaul (New wires, rotor, cap, coil). This is an exciting investment you can drive and enjoy! These G 50's are being extremely hard to find in good condition and are being hoarded! Collector car financing available at competitive rates. We make every effort to provide you the most accurate, up-to-the-minute information on all of our vehicles in our inventory. However, please do verify with us before purchasing that all the information is correct and up to date. Also, unless we take deposit, any car is fair play and up for sale. For Ebay users, please do not hit the “Buy Now” button unless you verify with us the car is still available. Visit us at www.dickbarbourperformance.com for complete list of options, plus a free Carfax report and our entire inventory of luxury vehicles. 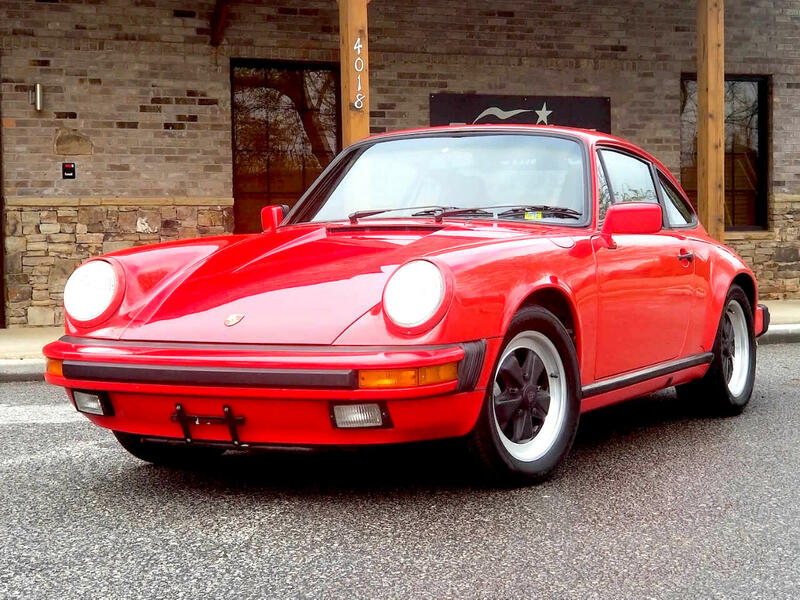 Message: Thought you might be interested in this 1988 Porsche 911 Carrera. We make every effort to provide you the most accurate, up-to-the-minute information on all of our vehicles in our inventory. However, please do verify with us before purchasing that all the information is correct and up to date. Also, unless we take a deposit, any car is fair play and up for sale.